As you know, I’m a retired ballet dancer. That means something happened to stop my dance career. However, even I changed my career path to do another thing that I’m passionate to, I have never regretted to have ballet in my (retired) life still. Being an audience, a part-time dance teacher, and a dance blogger always make me feel the ballet movement in my body. I want everyone to have a chance to watch my video. At least, it could be your good friend when you feel depressed or despair of anything in your life. Enjoy! Video edited by Ballet Blossom. Thank you everyone who contributed to this video, and also my great video source, Youtube. We know ballet wasn’t born in Asia but it has been flourished in Asian countries long enough to become acceptable. Almost every Asian countries have their ballet companies; however, which country brings the best to the world? The answer seems to be Japan due to the highest number of ballet companies and ballet schools in the country. Moreover, japanese dancers, both native and half a nationality, became successful not just only in Japan. They’re also promoted as principal dancers in the world greatest ballet companies. 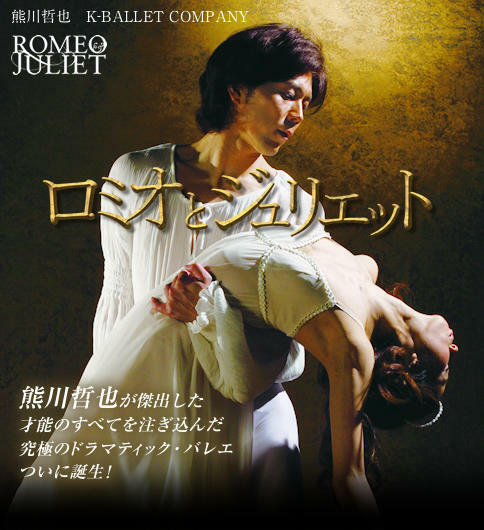 Miyako Yoshida and Tetsuya Kumakawa became the first Asian principals of the Royal Ballet. They both recently works at K-Ballet, one of the most famous ballet companies in Japan. Kumakawa leads as the artistic director and Yoshida performs as a principal. Gen Horiuchi, who was a principal dancer at the New York City Ballet, has been the artistic director of the Saint Louis Ballet Company and School. Misa Kuranaga was the youngest participant to win the gold medal in Moscow Internation Ballet Competition, and is now a principal dancer at the Boston Ballet. There are a lot of other japanese dancers who brought their nationality to proudly stand among European and American dancers. We might not be able to judge whether japanese dancers are the best Asian in Ballet or not. However, from what we’ve seen and heard, they 99% deserve to accept the winning. Even though we use the word “Ballet” to describe this beautiful kind of dance, Ballet itself has different nationalities, or let’s say, it has multifarious styles. There are 4 styles of ballet which some are nearly similar, and some that are totally different from each other. Russian, French, Italian and British are the nationalities that we’re talking about. 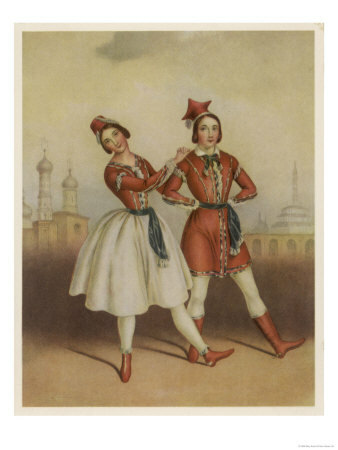 Russian Ballet is originated in Russia. It emphasizes a soft expression of upper bodywork, with extra attention focused on the line of dancers. However, it’s very strong and clean without robotic stiffness. French Ballet is characterized by an emphasis on accuracy and elegance. It is an extremely strong style, with great speed and quantity of steps. The music played slower than movement is the concept of French Ballet. Italian Ballet is considered to concern for anatomy and development of dancers through strict training. The idea of Italian style is to learn by studying principle dancers’ basic rather than being stimulated by teachers. British Ballet is focused on clean, precise technique and purity of line. British Ballet is indicated for its slow progression. Dancers pay a great attention to correct basic techniques in the early years of training, to adapt to advanced techniques later on. Although ballet is originated from a variety of regions, there has never been a fight. Because for us who have ballet in our lives, wherever we come from, whatever styles we heart, we live in the same spiritual sublime world. How professional dancers eat to stay strong and slim? Being slim but strong seems to be a great requirement for those who want to be a professional ballet dancer. However, ballet dancers are not necessary to starve themselves throughout the day in order to get a perfect shape, they just need a perfect balanced eating! Good nutrition is one of the most important things that dancers should be aware of. They need Carbohydrates, Proteins, Fats, Vitamins, and Minerals as same as general people do. Although, ballet dancers must regularly eat, they stop eating when they’re no longer hungry. Moreover, they choose food that digests more slowly to have a staying power, to give them energy over a long period. These kind of food; for example, are whole wheat bread, brown rice, and yellow vegetables. They also avoid eating red beef because it has the protein to make new issue. It’s also not good due to its high animal fat. Alright, let’s get start professional ballet dancer’s eating habit so you could get a slim shape. The rest is to practice your dance skill so you would have a strong body. There are countless ballet paintings hanged on the walls in museums around the world, and some might be in your house. That’s actually not surprising since ballet is one of the most beautiful things that could bring life to canvas. Although, ballet painting is popular for collectors for decades, not all of them could be recognized. However, ballet painting is like a portrait painting, if we have the famous “Monalisa”, why don’t we have one for ballet? 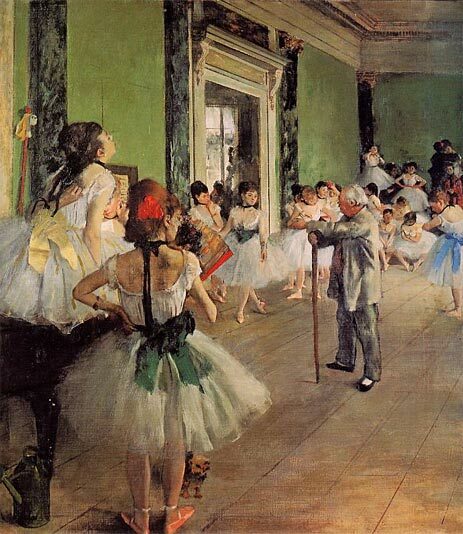 I’m talking about “The Dance Class”, the most memorable ballet painting by a French famous artist, Edgar Degas. “The Dance Class” has its original name in French, La Classe de Dense, which is the same meaning in English. It was painted in 1873 considering the most ambitious figural compositions except for history paintings of Degas. The painting was done in 1876. This oil painting features Jules Perrot, one of the most well-known ballet master at that time, rehearsing dancers in the Foyer de la Danse of the Palais Garnier, or Paris Opera. The reason that “The Dance Class” has become famous might be because we could feel the picture. Even though, there’s no dancing figure on canvas, all of them are really show expressions through their postures; strict teaching of the teacher, bored waiting by putting arms on the waist, or even scratching on the back while listening. Those are the things that actually happen all the time in ballet classes. Whether his idea came from the real picture or not, Edgar Degas just did it right along the way. It’s almost impossible to have, and impossible to forget! Peter Anastos, Natch Taylor, and Antony Bassae made a big surprise happen in 1974 when they founded Les Ballets Trockadero de Monte Carlo, an all-male ballet company, in New York City. The “Trocks”, as its nickname of the company, first performed in the late-night shows, in Off-Off Broadway lofts. It has become well-known since a famous ballet critic of The New Yorker, Arlene Croce, reviewed their performance. The Trocks concept is to perform the full range of the ballet and modern dance repertoire, including classical and original works. They incorporate the exaggerations of ballet, the comedy intended to show off the performers’ technical skills, and underlying differences of serious dance. The dancers characterize both male and female roles, whose heavy bodies dancing on pointe, to enhance the spirit of dance as an art form. The Trocks has been touring around the world, with continued success in many major cities. With thirty four years experiences, The Trocks continues its original purpose “to bring the pleasure of dance to the widest possible audience.”, because it’s almost impossible to have, and it’s impossible to forget! Ballet has turned in a variety of ways to present its richness through movies, photographs, fashion, and more to say. Print is one of those things that seems to be growing so fast these days for marketing ballet. A lot of ballet companies has already changed their traditional pink tutu-ed ballerina posters to a new challenging alternative. We have recently seen ballet in japanese-styled cartoon posters, or just some graphics without any ballet features posted in front of the world famous ballet companies. However, the results are not that bad, people actually are captured by those captivated ads. I totally agree with The Ballet Bag. 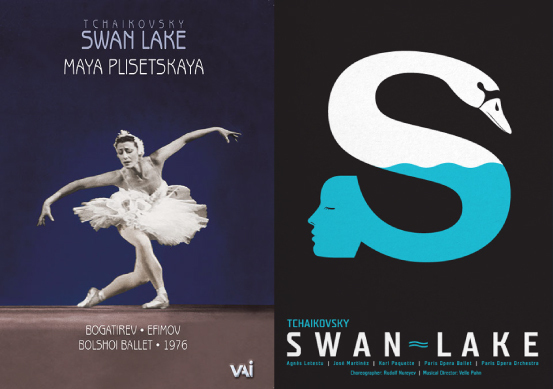 Sometimes it’s just frustrating to repeatedly watch the same ballet story, or see the old style of ballet posters. I’m always excited every times ballet companies come up with their new ideas to present the performances. And yes, I’m awake to see their new ways of advertising, too! Because we love to see something new all the time, don’t we? Image sources from Ballet.co.uk & The Ballet Blog. You can also check out The Ballet Bag to read and discover more unexpected images.